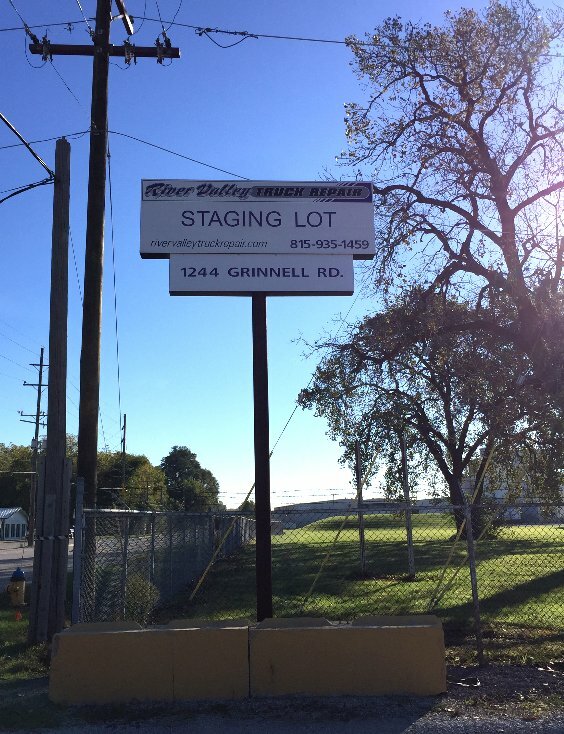 RVTR also provides a staging lot where monthly semi truck parking and trailer parking is offered. This lot is also used when your vehicle is waiting to be picked up. Gates will be locked from 5PM-6AM daily. Our lot is now fully lighted and has an electric gate opener for each paid parking customers, we will soon have electrical connections for block heaters this upcoming winter. If you are interested in monthly parking please come in so we can accomodate you and your truck!